PVC-U is the acronym for unplasticised polyvinyl chloride an ultra-high-density polyvinyl chloride rigid plastic material (polymer) that offers sufficient strength and weather resistance to be used for products in external building work. 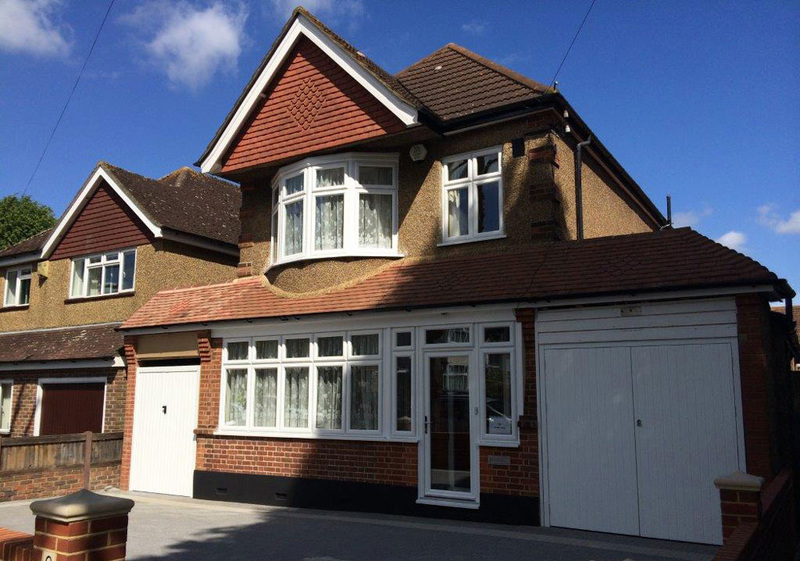 The primary applications of PVC-U are in the fabrication of windows and doors, in forming fascias, claddings and roofline products. There are features of PVC-U as a material that offer many benefits when used in the manufacture of windows and doors. Modern technology has been employed to produce slim, feature profiles that are robust and versatile. The result is a wide choice of PVC-U window and door styles, configurations and product types to suit almost every type of property; And, PVC-U windows and doors are energy efficient. PVC-U profiles that are used in the fabrication of windows, doors and conservatories are available in a choice of finishes i.e. brilliant gloss white, foiled, coloured wood effect or woodgrain laminate and in a wide range of standard RAL colours.